Kraemer Mining & Materials produces many options for Washed Products annually. These products have multiple uses including add rock in production of asphalt and concrete as well as landscaping material. The material that is screened and washed out is used to create Manufactured Lime Sand and Agricultural Lime products. 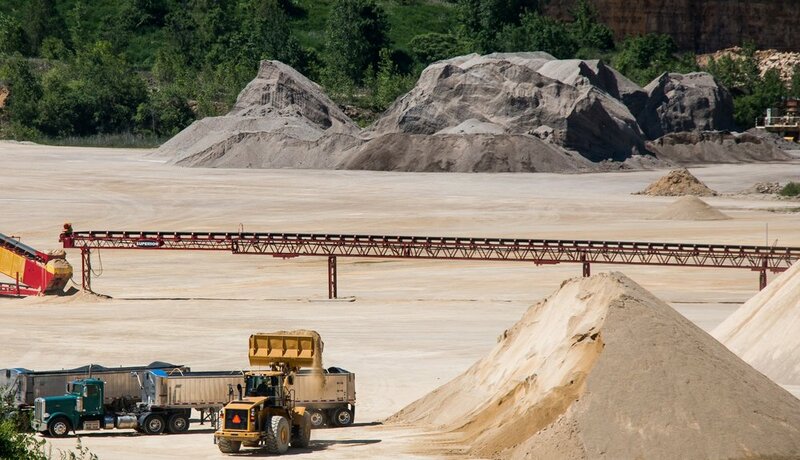 Kraemer’s Manufactured Lime Sand is unlike sand from a natural sand and gravel deposit, Kraemer’s product has a very angular surface and is desired for specialty asphalt mixes. This limestone product is tan to light gray in color and is a jagged edged rock. 3" Clear is great for landscaping projects, and can also be used to control erosion in a drainage ditch or around a culvert. This is a limestone product that is tan to light gray in color and is a jagged edged rock. 1.5” Clear is great for landscaping projects around the house. This is a limestone product that is tan to light gray in color and is a jagged edged rock. 1” Clear is great for landscaping. This is a limestone product that is tan to light gray in color and is a jagged edged rock. In addition to making a great landscaping material, 3/4” Clear also works well for any type of drain tiling projects. This tan to light gray limestone product with jagged edges is great for walking paths and kennels. This tan to light gray limestone product has jagged edges. The size ranges from 1 1/2” to ¾”. Primarily used for drainage and can also be used behind retaining walls or around footings. This is a clean and washed manufactured sand. The angular particles in Lime Sand are preferred in hot mix asphalt. This is a clean and washed natural sand. Some of the applications for this product are mixing concrete, laying a base for pouring concrete, beaches, sand boxes or laying under pavers. This is a clean and washed natural sand material and can be used for masonry work such as stucco and mortar.